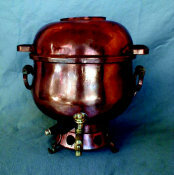 Beautiful conical shaped Samovar. Rare original dark chocolate patina worn to rich marbling. 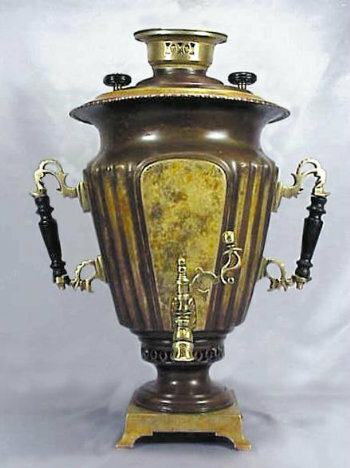 Multiple flutes adorn a double paneled body atop a self-footed square base - indicative of transition piece from early design. Ornate foliated handles and foliated spigot key. Beaded upper rim. Complete with kettle ring.